Universe disappears when creating new connection/ dashboards can't connect to BI Launchpad. 1) In BO 4.2 SP4, while creating new connection in universe design tool, the universe closes automatically. But working fine with already existing universes (previously used BO 4.0 sp04). 2) we are using dashboards 4.0 SP6, when we installed BO 4.2 SP4.. dashboards is not showing any option to connect to BI launchpad. I was having the same issue with 4.2 SP04. Login to Universe Design Tool. Create a new connection. Enter the name for the connection and click on next. Cause: Universe Design Tool crashes as JNI bridge is not loaded properly. Whenever a new connection has to be created, please perform the following. Restart Universe Designer Tool. Click on connections and create the required number of New Connections. The "Support Packages & Patches" section will be populated with the relevant patch levels once they are released. Development Team is investigating the issue and the fix should be available in the next available patch. The solution provided is working fine as you said. But without changing to yes, I can create reports and export to launchpad. Is it necessary to change back to (EnableJNI="Yes") in cs.cfg file? Did you had any issues with the dashboard after installing BO 4.2 SP4? I am facing issue while opening (xcelsius-1.png). 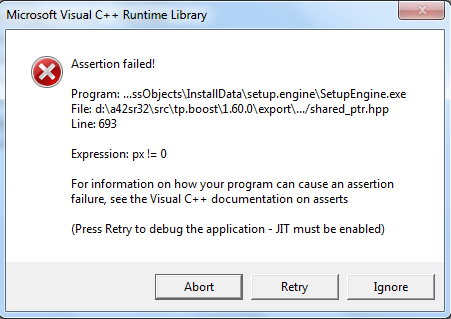 When I reinstall Dashboards it shows error(xcelsius-2.png). The second link relates to the issue exactly. I have checked event viewer and I couldn't find any solution. I tried reinstall also but no use. Try to create a local connection first. If the local connection itself has issues then you need not look at the BO server. And since the UDT crashes, would suggest you to check your event viewer for application logs. That should give some idea. Iam unable to create new connection in udt, but able to create new universes with old connections. I will look into event viewer.